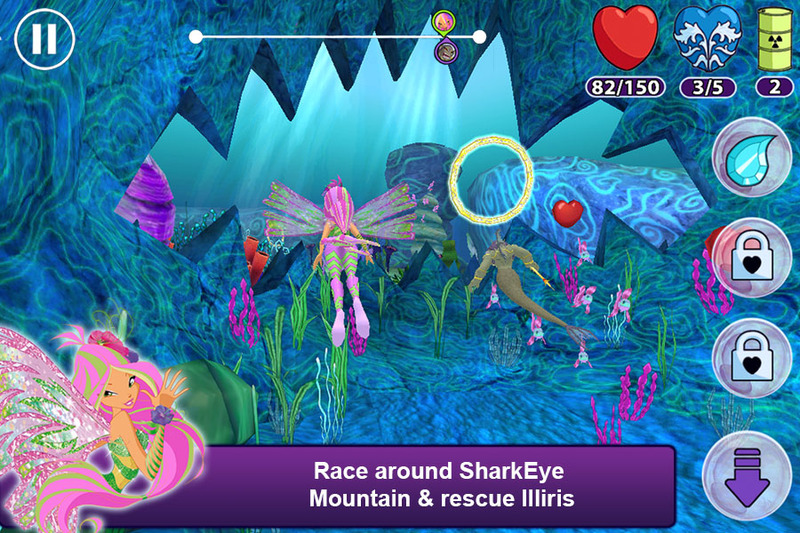 Winx Club Season 5 comes to smartphones and tablets. 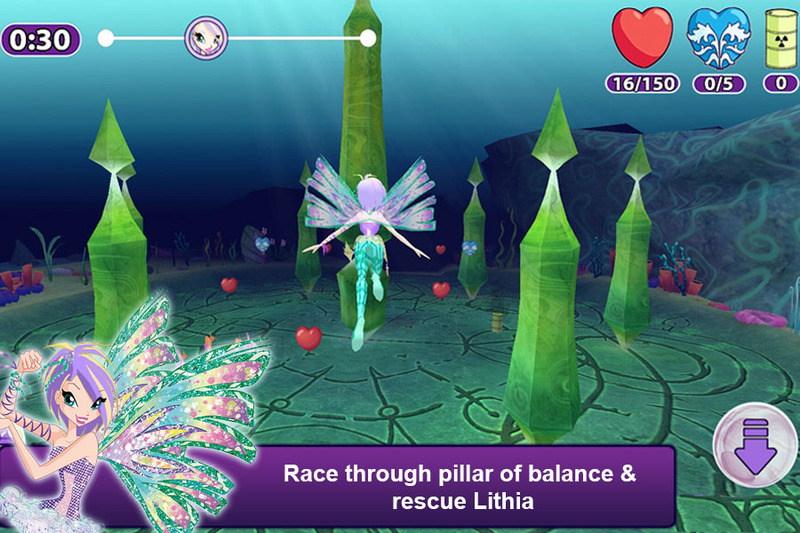 Play this 3D adventure as your favourite Winx fairy. Explore the beautiful underwater landscapes of the Infinite Ocean. Race against the evil Tritannus and the Trix! They are trying to capture the Selkies and pollute the Infinite Ocean forever. 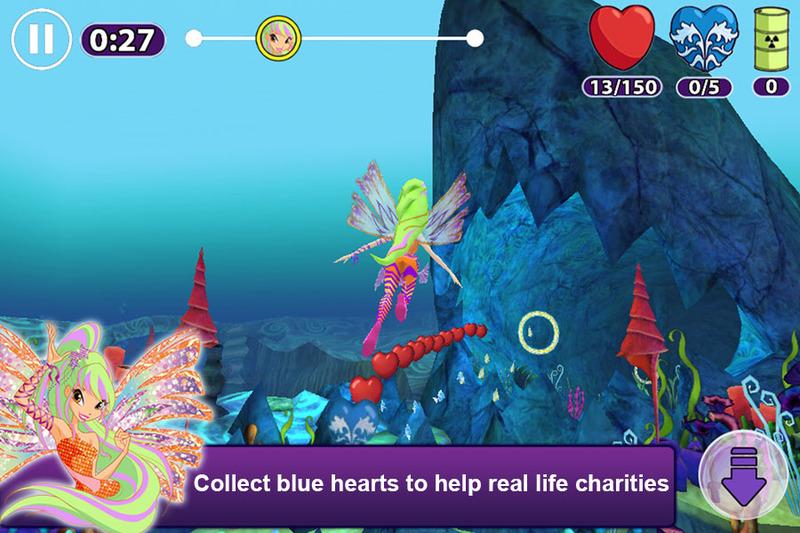 Collect hearts and exchange them for magical Sirenix spells to use against Tritannus and the Trix. 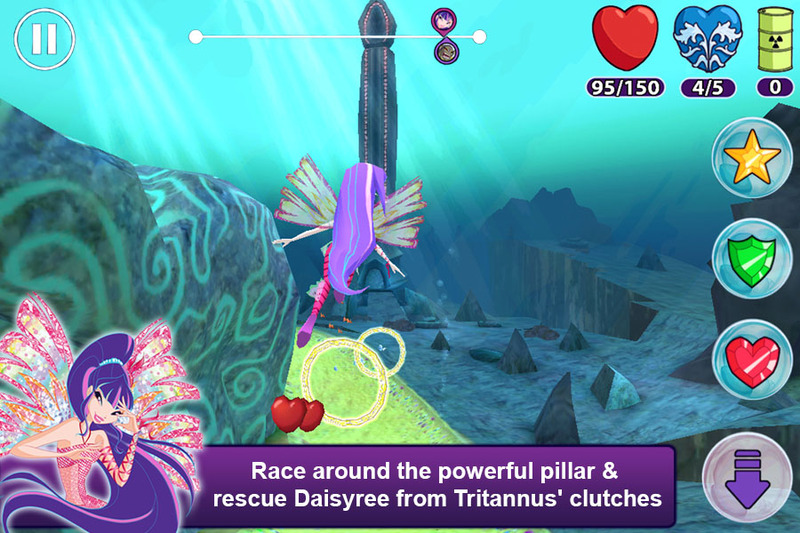 Earn achievements and unlock the Sirenix box! 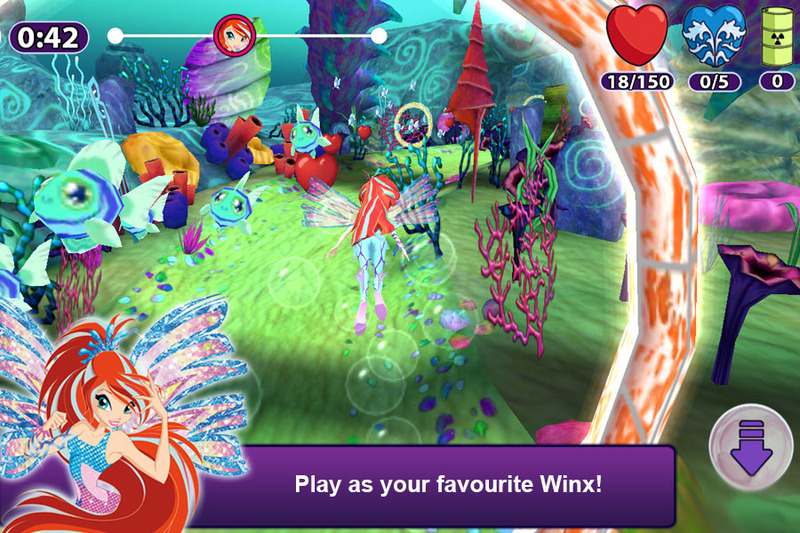 Play now and join thousands of other Winx fans! 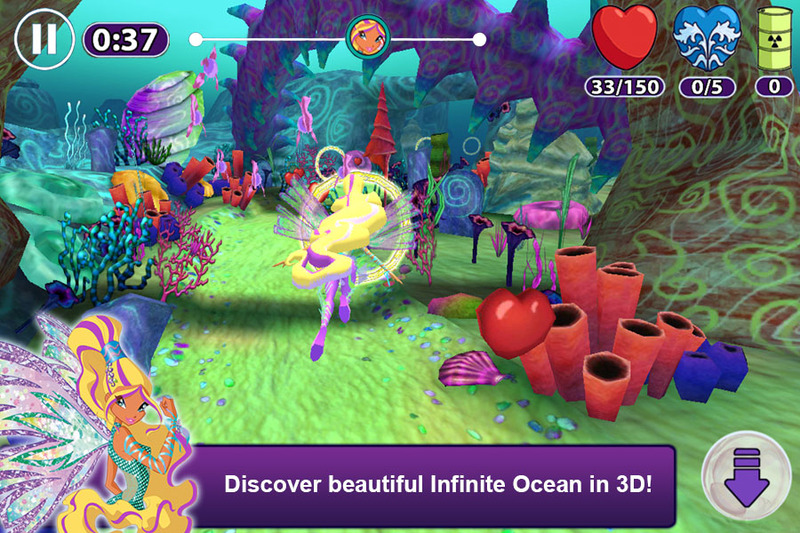 Discover beautiful Infinite Ocean in 3D!